Things are starting to slow down. :\ I guess it's just that time! It really is difficult to keep a fast pace for more than a few weeks. Anyway, I added entity pooling as an optimization (may be noticeable on mobile?) 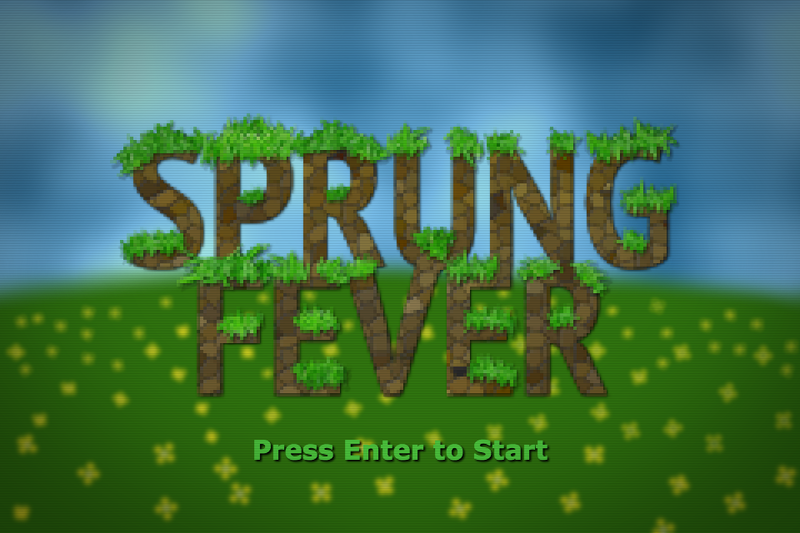 And updated the title screen with some flowers... Not sure I like it as much as the plain grassy field. I started on the flowers for the logo, too. But ran out of time for tonight. They will be animated and quite "springy" when complete! But until then... See you tomorrow!